Not much was actually released in terms of economic data last week. All eyes seem to be on Congress and the White House as they try to avoid another government shutdown, which would happen if there’s no bill signed by Friday. “Hamilton” is coming to Detroit in March. It’ll be interesting to see if Congress can hammer something out “in the room where it happens.” I know a lot of federal employees would appreciate it. Although that’s the main storyline along with U.S.-China trade tensions, there were a few releases last week. Let’s get to them. Overall mortgage applications were down 2.5% as purchases fell 5%. Refinance applications were up 0.3% on the week as the average interest rate for a 30-year fixed conforming mortgage was down seven basis points to 4.69%, which is the lowest it’s been since last April. Refinances only made up 41.6% of overall mortgage applications as this fell 0.4% last week. It’s definitely weighted more heavily to purchase activity at this point. The U.S. trade deficit fell a sizable $6.4 billion to come in at $49.3 billion in November. Unfortunately, this reflected a drop in imports rather than an increase in exported goods and services. Americans imported $4.3 billion less in consumer goods as the amount of imported cell phones fell by $7.7 billion. Oil prices were also down, which brought down the price of our imports. On the export side, these were down $1.3 billion in a development that’s largely blamed on declines in oil prices causing less demand for certain supplies and materials. The goods deficit was down $6.7 billion to come in at $71.6 billion, while the services surplus was down $300 million to come in at $22.3 billion. One of the most closely watched things in this report is the trade gap between the U.S. and China. This is down $2.8 billion to $35.4 billion. However, this was related to imports being down $2.9 billion to $42.8 billion, while exports to China were down $100 million to $7.4 billion. The ongoing aim of the U.S. in trade negotiations is ultimately to see this exports number improve, with the Chinese agreeing to import more of our goods and services. Initial jobless claims were down 19,000 to come in at 234,000 last week. Despite this, the number is still higher than expected. The 4-week average is up 4,500 to come in at 224,750. Claims from federal workers were down more than 8,000 on the week coming in at about 6,700. This helped push initial claims down. Meanwhile, on the continuing claims side, these were down 42,000 to 1.736 million. Finally, the 4-week average of continuing claims was up 4,000 to 1.741 million. There were 17,250 more federal workers continuing to claim unemployment benefits for a total of 57,500. This might point to their uncertainty over the prospects of a long-term funding deal. It’s something we’ll be keeping an eye on. We talked last week about Federal Reserve Chairman Jerome Powell saying it might be time to pause interest rate increases. He did give a more upbeat assessment of the economy last week, saying it was in a good spot, but mortgage rates are still in the downward trend that we’ve seen recently. Given where rates are right now and the fact that some important data like retail sales and the consumer price index (CPI), a key metric of inflation, are coming out next week, it could be a good time to lock your mortgage rate if you’re in the market. The average 30-year fixed mortgage rate with 0.4 points in fees was down five basis points on the week to come in at 4.41%. Last year at this time, the rate was 4.32%. Looking at shorter terms, the average rate on a 15-year fixed mortgage was down five basis points to come in 3.84% with 0.4 points paid. Last year, the average rate was 3.77%. Fives were wild. The average rate on a 5-year treasury-indexed, hybrid adjustable rate mortgage (ARM) was also down five basis points, settling at 3.91% with 0.3 points paid. A year ago, this rate was 3.57%. It was a bumpy day on the stock market to end the week. There were reports that the U.S. and China are still far from inking a deal on trade. Meanwhile, the European commission said on Thursday that the European Union member countries would see their GDP grow only 1.3% over the next year, down from 1.9% in the previous estimate. There is a lingering concern over what happens if Great Britain leaves the bloc without a deal on trade. Despite all this, the markets managed to make weekly gains. This marks the seventh consecutive weekly uptick for both the Dow Jones Industrial Average and Nasdaq. The Dow was down 63.2 points Friday to close at 25,106.33. This was still up 0.17% on the week. Meanwhile, the S&P 500 closed at 2,707.88, up 1.83 points on the day and 0.05% on the week. Finally, the Nasdaq finished the week up 0.47%, after rising 9.85 points on the day to finish at 7,298.2. The Census Bureau and the Bureau of Economic Analysis unleashed a flurry of new dates for the report releases that had been delayed due to the government shutdown. Now, it’s worth noting that this could all change again if the government shuts down after Friday, but for this week, what’s listed here will actually be coming out. CPI (8:30 a.m. ET) – The consumer price index measures changes based on the price of a fixed basket of goods and services purchased by consumers. 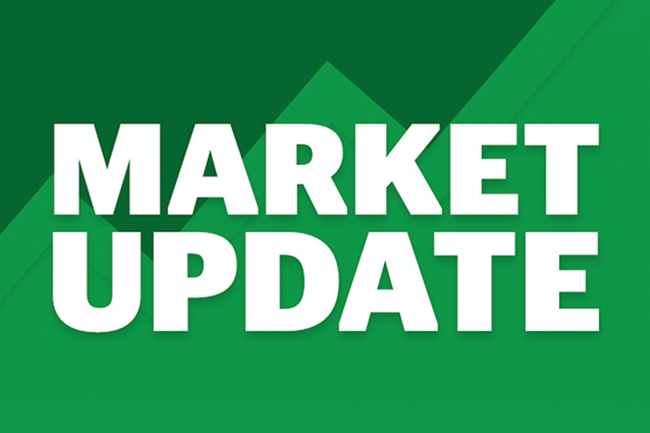 It’s a fairly busy week and we’ll have it all covered in next week’s Market Update! As mentioned above, particular attention will be paid to CPI and retail sales. Economics and mortgage rates can be fairly boring. There’s no sugar coating it. If this doesn’t exactly strike your fancy on a Monday afternoon, don’t worry. We’ve got plenty of home, money and lifestyle topics to share with you if you subscribe to the Zing Blog below. Consider this your friendly reminder that Valentine’s Day is Thursday. Here are some gifts that will have that special someone feeling the love. Have a great week!